Disc herniation is a common low back pain (LBP) disorder, and a number of clinical test procedures are routinely used in its diagnosis. The neurological examination that assesses sensory neuron and motor responses have played a role in the differential diagnosis of disc herniation in the past, especially when radiculopathy is suspected; however, the diagnostic capability of this examination has not been explicitly studied. The study was intended to review the scientific literature to evaluate the diagnostic accuracy of the neurological examination to detect lumbar disc herniation with suspected radiculopathy. A total of 14 studies that investigated three standard neurological examination components, sensory, motor, and reflexes, met the study criteria and were included. Eight distinct meta-analyses were performed that compared the findings of the neurological examination with the reference standard results from surgery, radiology (magnetic resonance imaging, computed tomography, and myelography), and radiological findings at specific lumbar levels of disc herniation. Pooled data for sensory testing demonstrated low diagnostic sensitivity for surgically (0.40) and radiologically (0.32) confirmed disc herniation, and identification of a specific level of disc herniation (0.35), with moderate specificity achieved for all the three reference standards (0.59, 0.72, and 0.64, respectively). Motor testing for paresis demonstrated similarly low pooled diagnostic sensitivities (0.22 and 0.40) and moderate specificity values (0.79 and 0.62) for surgically and radiologically determined disc herniation, whereas motor testing for muscle atrophy resulted in a pooled sensitivity of 0.31 and the specificity was 0.76 for surgically determined disc herniation. For reflex testing, the pooled sensitivities for surgically and radiologically confirmed levels of disc herniation were 0.29 and 0.25, whereas the specificity values were 0.78 and 0.75, respectively. The pooled positive likelihood ratios for all neurological examination components ranged between 1.02 and 1.26. The review and meta-analysis showed that neurological testing procedures have limited overall diagnostic accuracy in diagnosing disc herniation with suspected radiculopathy. Pooled diagnostic accuracy values of the tests were poor, whereby all tests demonstrated low sensitivity, moderate specificity, and limited diagnostic accuracy independent of the disc herniation reference standard or the specific level of herniation. The lack of a standardized classification criterion for disc herniation, the variable psychometric properties of the testing procedures, and the complex pathoetiology of lumbar disc herniation with radiculopathy are suggested as potential causes for these findings. Al Nezari N, Schneiders A, Hendrick P. Neurological examination of the peripheral nervous system to diagnose lumbar spinal disc herniation with suspected radiculopathy: a systematic review and meta-analysis. The Spine Journal. Volume 13, Issue 6, June 2013, 657–674. 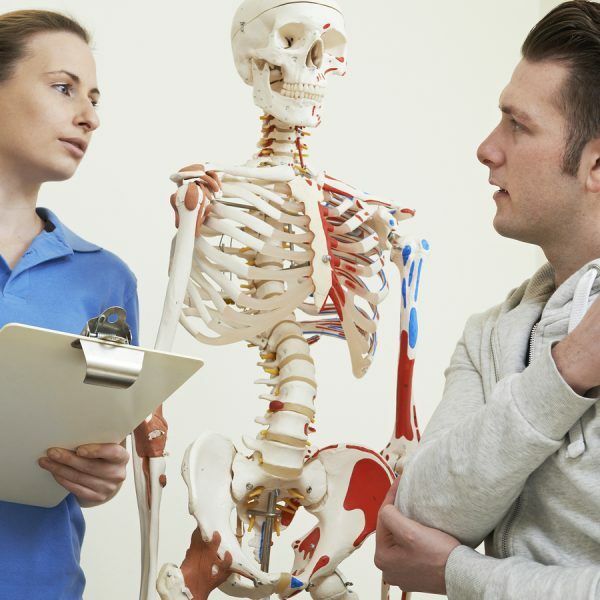 Review shoulder examination with this online course that covers orthopaedic special tests, the types and implications of shoulder pain and relevant outcome measures and diagnostic imaging.